MEXICO CITY, Mexico–Mexicana de Aviacion (known as Mexicana Airlines) which suspended flights four years ago due to its heavy debt load, was declared bankrupt on April 5th, paving the way to dismantle the iconic company, once one of Mexico’s top two carriers. About 30 investors sought for more than three years to rescue the airline, which has an estimated debt of $1 billion, but none proved to have the necessary funds. On Friday the 5th, the communications and work ministries said the courts had approved an agreement to proceed with the bankruptcy presented by Mexicana’s majority creditors: Mexican bank Banorte, development bank Bancomext and Mexico’s International Airport. The statement revealed no details of the agreement among creditors of Mexicana, which stopped flying 90 years after it was founded. Mexicana’s MRO maintenance base, valued at between $80 million and $100 million, will continue operating. Resources it obtains will go toward a trust that benefits Mexicana’s 8,000 workers and 600 retirees. Mexicana’s three major unions are considering a challenge to the declaration of bankruptcy, local media reported. 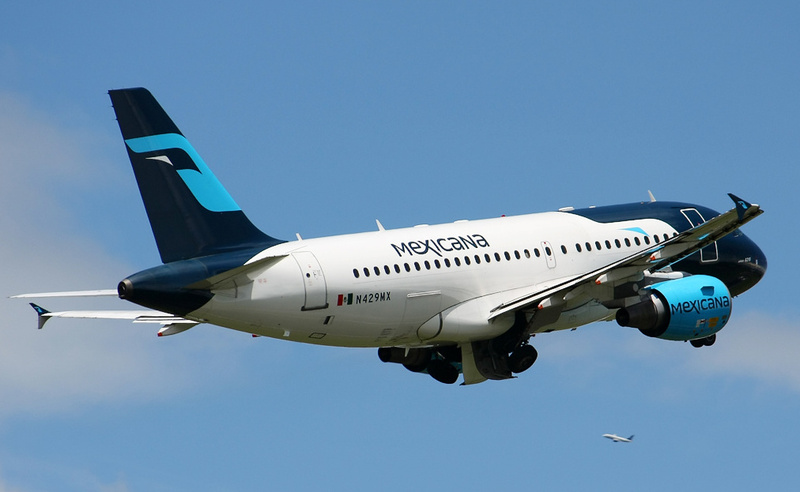 Most of the routes once operated by Mexicana have been taken by AeroMexico, Interjet and VOLARIS. This entry was posted in Airlines, Mexico and tagged Bankruptcy, Mexicana Airlines, Mexicana de Aviacion.